Scented hair mists are the summer’s latest beauty trend: We test out 5 to find our favourite | HELLO! If you find your hair picks up every smell you’ve encountered throughout the day, then you may well want to check out the latest beauty trend - scented hair mists. According to well-established hair loss clinic The Belgravia Centre, a potential cause of less-than-lovely smelling hair is over-production of the natural oil sebum, which lubricates and waterproofs the skin. SACHAJUAN’s perfume contains an extract from natural citrus oils that encapsulates odour molecules and breaks them down. down. The fragrance is heavy in floral and woody notes, which when sprayed liberally onto the hair can result in a scent that is a little overpowering. Go easy, though, and you’ll have ever so pleasant results. The mist deters not-so-nice smells all day long - even after slaving over a hot stove cooking salmon en croute – and left hair feeling soft and looking glossy. This one may be the most expensive of the five, but you only need two spritzes for the fragrance to last all day. 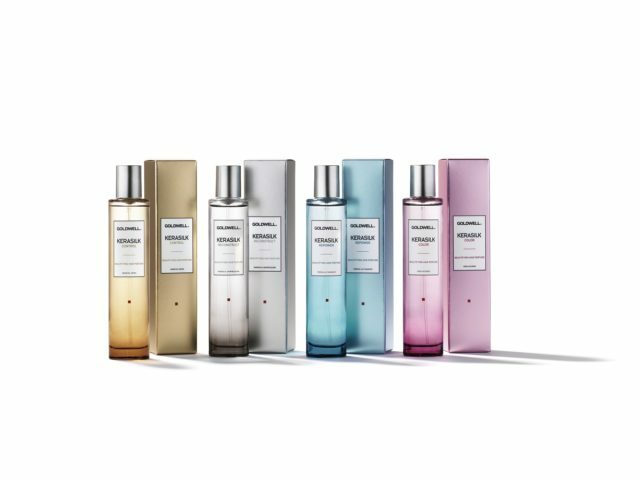 This collection of hair perfumes comprises four beautiful fragrances: Control, Repower, Colour and Reconstruct. The one we tried out was Repower - a zesty scent with notes of freesia and lily that left hair smelling freshly washed after every application. It requires multiple reapplications throughout the day but, as the bottle fits easily into a handbag, it's not an issue. This is also extremely effective at removing smoky smells after visiting restaurants with open kitchens. Like the star herself, Grande’s fragrance is feminine and sweet with a heady blend of pear, vanilla orchid and marshmallow notes. It's easy to apply - just spritz two pumps into the air above the hair and let it settle, then brush through. It's got incredible staying-power - ruffle your hair and it’ll leave a glorious scent lingering in the air long after you leave a room. Celebrity colourist Christophe Robin - whose clients include Natalie Portman and Tilda Swinton - has been making serious waves in the hair world in recent months with some ever so covetable product launches and a dazzling pop-up salon in London. His beautifully scented Volumizing Hair Mist is made from 96% rose water and when sprayed on wet hair then blow-dried, the the ultra-light product gives hair a subtly voluminous look while imparting a delicate fragrance that lasts all day long. It's also a dream for coloured hair, as the natural rose extract prevents colour from oxidising. Clever, eh? The fragrance comes second with this mist, but that doesn’t mean it’s lacking in that department. It's crisp and outdoorsy but didn’t last all that long. It tames flyaways and frizz well but when reapplied more than once it can leave hair feeling slick and heavy. It does, however, provide UV protection and contain nourishing Vitamin E to condition the hair and help repair damage.